On World Refugee Day, Tuesday, June 20th, we are reminded to honour the courage, strength, and determination of women, men, and children who are forced to flee their homes under threat of persecution, conflict, and violence. According to the United Nations High Commissioner for Refugees (UNHCR), the number of refugees and internally displaced persons on the move in 2016 is higher than ever before. Some of these people are assisted by the UNHCR and the generous countries who are glad to welcome them. These refugees are now able to find hope for the future success of their lives and those of their children. 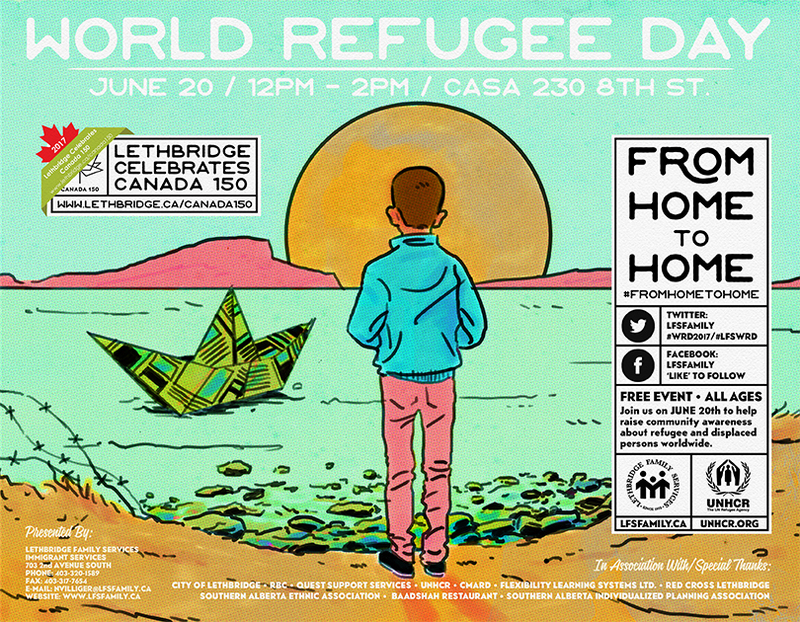 On World Refugee Day we are inviting the community to stand beside the refugees who now call Lethbridge home in celebration of their new found hope for peaceful and accomplished lives and to commemorate those who are still waiting for that hope for a brighter future. Join us on June 20th to raise awareness about refugee life, the camps in which refugees live, and their daily struggle to stay alive. It is with understanding and support that we are able to effect positive change for refugees around the world. With community help to raise awareness, we will do our part to ensure that more refugees are filled with hope for a better tomorrow. Please dress appropriately for the weather. Food will be provided by Baadshah Restaurant and drinks provided by Quest Support Services! If you have any questions regarding the World Refugee Day 2016 or would like to be involved, feel free to contact Nickolej Villiger • Education & Outreach at 403-320-1589 or via e-mail nvilliger@lfsfamily.ca. The global leader on statistics on refugees. 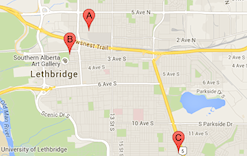 Resources and information on global issues.